Claim: this is a selfie of Xenia Ignatyeva who died in April 2014. 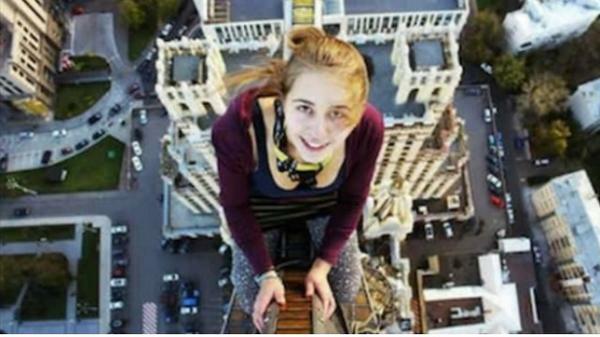 Often shared in a “news article” titled as Selfies Taken Moment Before Death. The photo by Kirill Oreshkin is real, but it’s not a selfie. More importantly: the person in the photo is Angela Nikolau who is alive and well at the time of writing. The original photo can be found from her VK pages. Angela Nikolau’s Instagram feed contains plenty of similar pictures. I debunked this claim originally in March 2015, but it just keeps reappearing. The story has been covered by Hoax Of Fame as well.